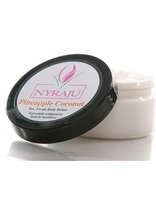 Nyraju Skin Care's Exotic Body Butter is Shea butter whipped into creamy smoothness, with just enough additional ingredients to insure a uniform texture, from the moment you first open the jar until you eke out that last little dab in the corner. Slather it on your body at bedtime without fear that you will stain your bedding or night clothes. 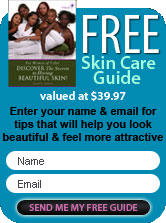 You will awake with silky smooth, conditioned skin in the morning. Our Body Butter is available in all six Nyraju signature fragrances and unscented as well.